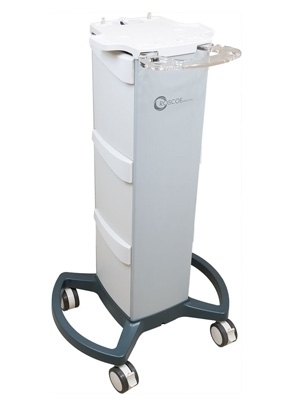 The InTENSity" Clinical Cart is a state-of-the-art rolling cart with double side drawer and storage. 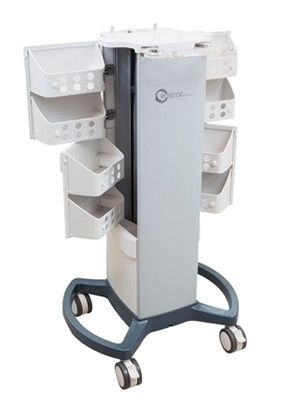 The cart will fit the EX4 or CX4 Clinical Devices and offer the practitioner a wide range of mobility options with four wheel rolling motion capabilities. The wheels have an easy-to-lock brake system that can be pressed with the foot.